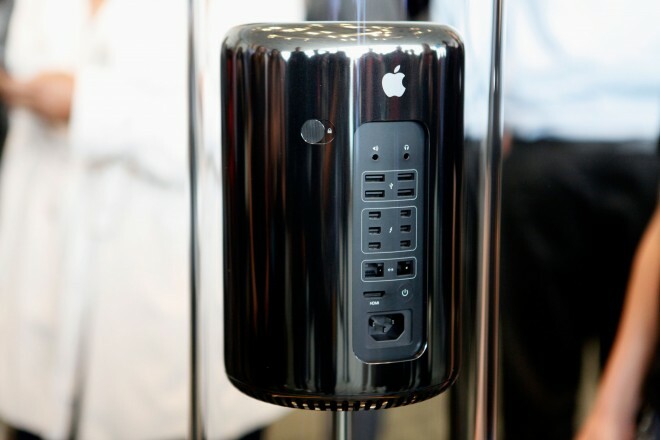 Yesterday on the WWDC 2013 along with the new Mac OS X (Mavericks), iOS 7 and a new MacBook Air. 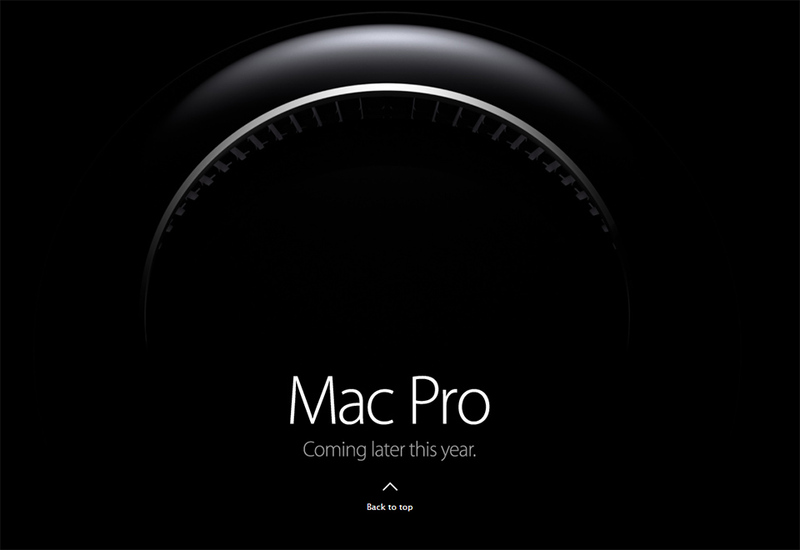 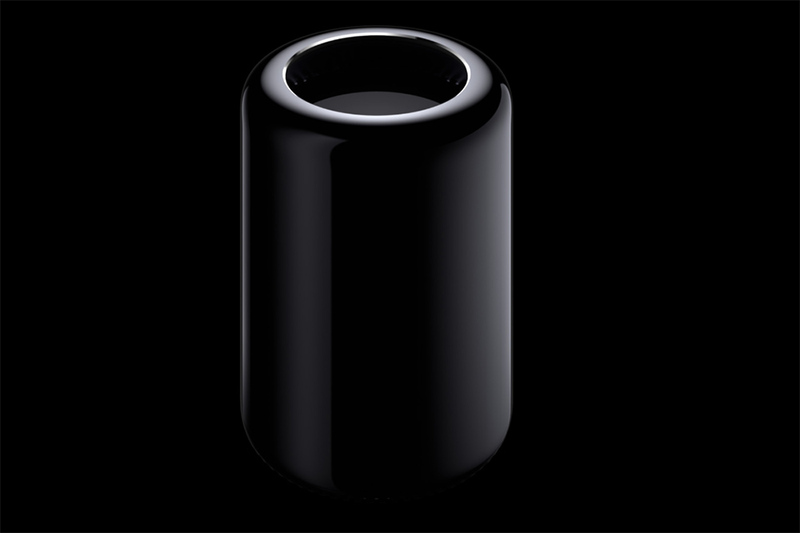 After years and years with the same design, Jon Ive finally decided to redesign the Mac Pro. 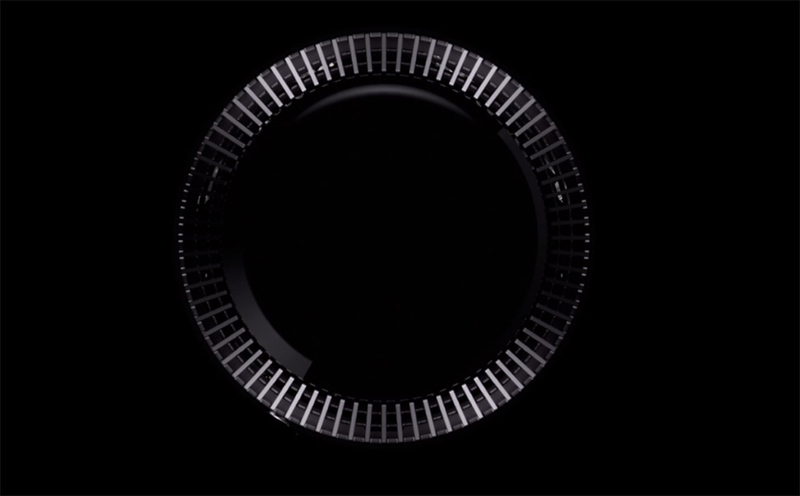 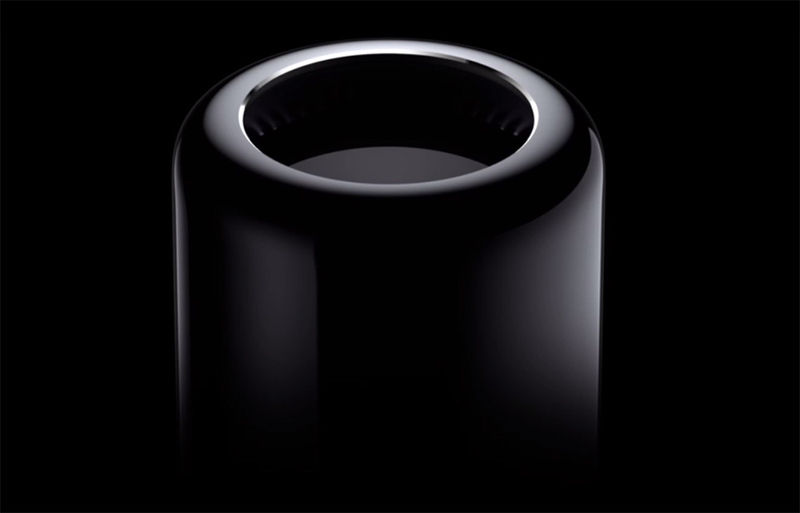 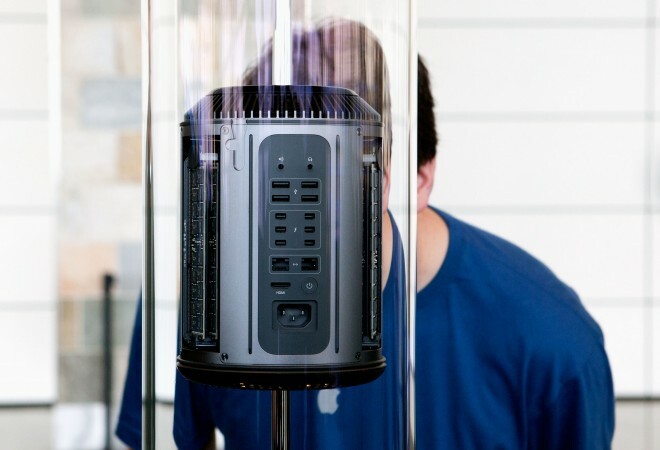 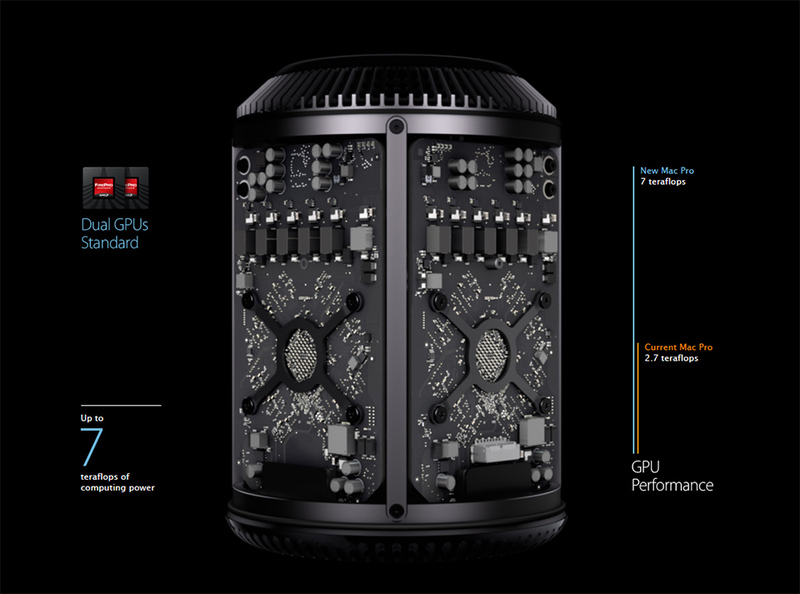 The New Mac Pro has nothing to do with previous models, it’s kind looks like a Mac Mini on steroids. 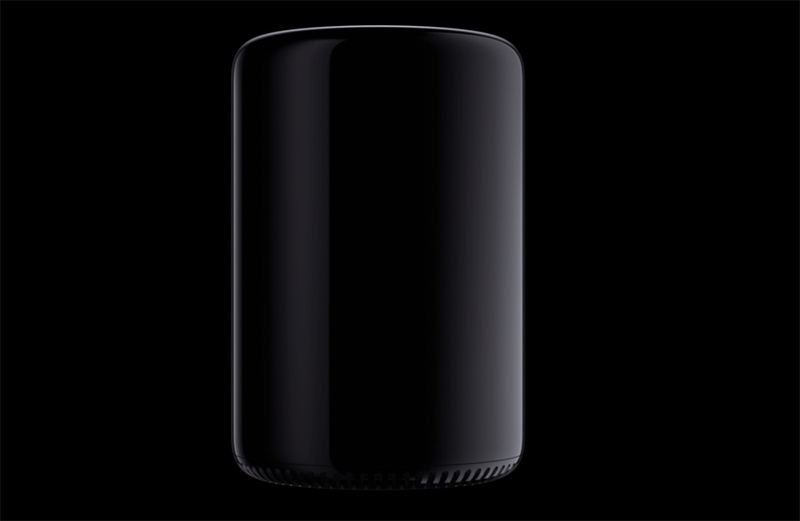 The new Mac Pro is 1/8th of the size of the previous model (9.9-inches tall and 6.6-inches wide), but it still manages to fit plenty of power in the new diminutive form. 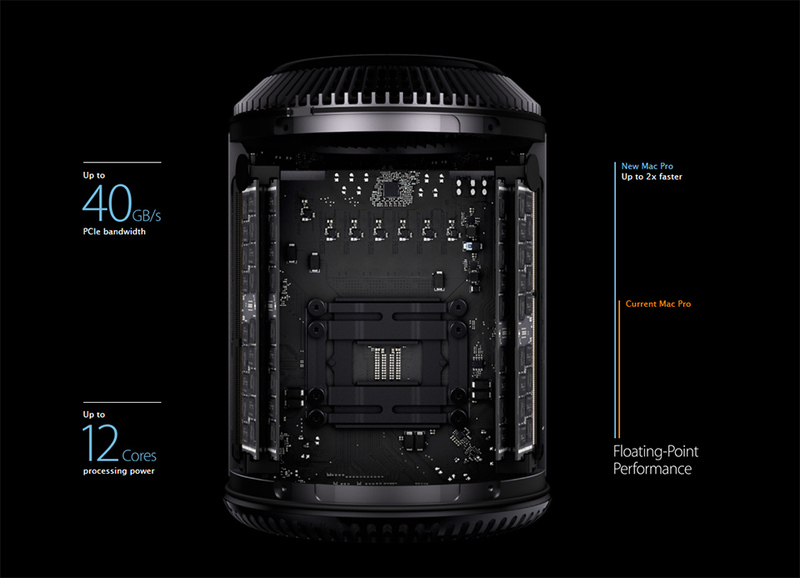 At the center of the new Mac Pro is a 12-core, 256-bit Intel Xeon E5 processor with 1,866MHz DDR3 RAM capable of 60GB/s data transmission. 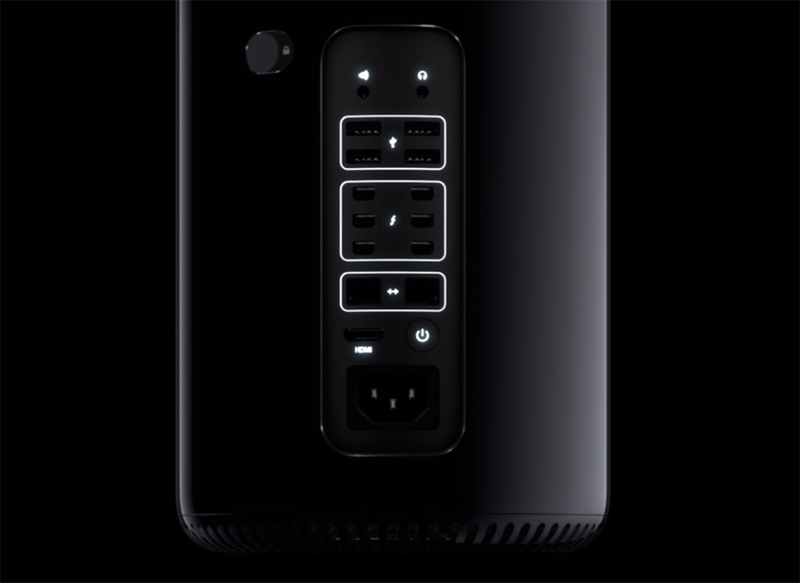 The new power tower uses PCIe-based flash storage, four USB 3.0 and six Lightning 2.0 ports, HDMI-out 1.4, dual gigabit Ethernet jacks, WiFi 802.11ac, Bluetooth 4.0. is also the first Mac that will ship with dual AMD FirePro GPUs as standard, which’ll support 4K displays.